A few years ago, after President George W. Bush signed the New G.I. Bill into law in 2008 to help and reward veterans of the wars in Iraq and Afghanistan, people started to suspect that this program was being abused, by colleges. But it was hard to tell how effective the program was, because no one knew the graduation rateof those attending college using New G.I. Bill funds. Now we’ve got answers. The Pentagon will spend about $9 billion this year to educate some 600,000 veterans. Since 2009, more than 1.1 million veterans have applied to use GI Bill benefits, which cover tuition at public schools and up to $17,500 a year at private schools. “We cannot simply stand by while our service members and veterans are being targeted and aggressively recruited by for-profit colleges just looking to make a quick buck,” said Sen. Tom Harkin (D-Iowa), a veteran who chairs the Senate Health, Education, Labor and Pensions Committee. For the last two years, the committee has investigated veterans’ complaints against for-profit schools. 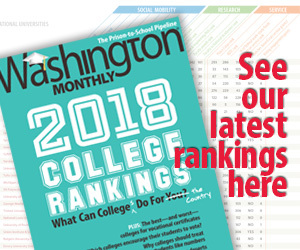 But one of the big problems with this criticism, and I know, because I was trying to write feature-length article about this, is that we knew that for-profit schools received 38 percent of GI Bill payments, and accounted for 47 percent of all student loan defaults, and we knew that graduation rates at for-profit school were low. But what no one knew was the actual completion rate of students trying to attend college using G.I. Bill money. The report released Monday estimated that 51.7 percent of student veterans earned a degree or certificate for some kind of higher education. That’s slightly lower than the graduation rate for traditional students, who generally enroll out of high school, but higher than for veterans’ non-traditional peers — those students who also tend to be older and have families and jobs. 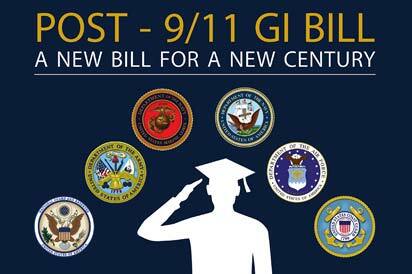 The study, called the Million Records Project, looked at the records of 788,915 student veterans who used either the Montgomery or Post-9/11 GI Bill from 2002 to 2010. A little more than half of them eventually got some credential. According to some news articles, this means it’s working. “Study: Recent veterans are succeeding in college” was the USA Today headline. “Student veterans do better than peers when given support services “ was how Inside Higher Ed put it. Not really. 52 percent is an F.
Sure it may be “higher than for veterans’ non-traditional peers — those students who also tend to be older and have families and jobs” but that’s because the average includes lots of poor people attempting to pay for college without extensive government support, who often drop out for financial reasons. The G.I Bill, however, provides funding for 100 percent of a public four-year undergraduate education to any veteran who has served three years on active duty since September 11, 2001 in addition to a monthly stipend, making college essentially free for veterans. So we should reasonably expect their completion rates to be much higher than 51.7 percent. So why are the completion rates for veterans so low? Anecdotal evidence suggests that many for-profit school were essentially cashing in on veterans, using their easy money to pad their pockets and providing an inferior education that veterans didn’t find useful or convenient. The completion rates for the original G.I. Bill, enacted after World War II, which also provided full tuition and stipends, were much, much higher. The fact that current numbers are low, indeed, only points higher than the graduation rate for the nontraditional population at large, should be considered a gigantic problem, not evidence of success.